The CliniMACS® Electroporator is powered and controlled by the CliniMACS Prodigy®. 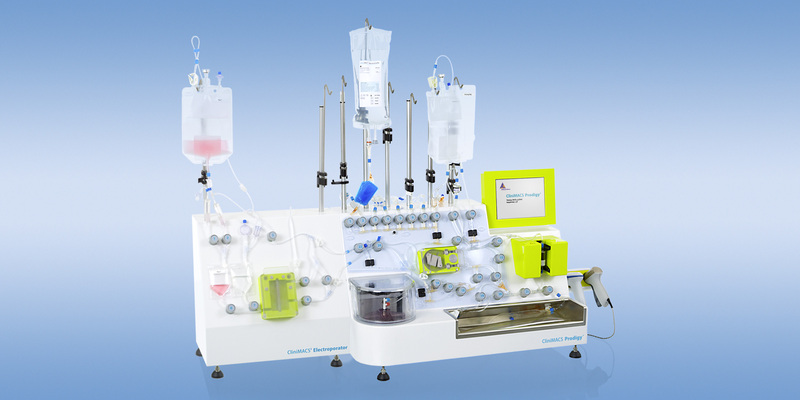 A closed tubing system ensures sterile processing during the fully automated cell electroporation procedure. 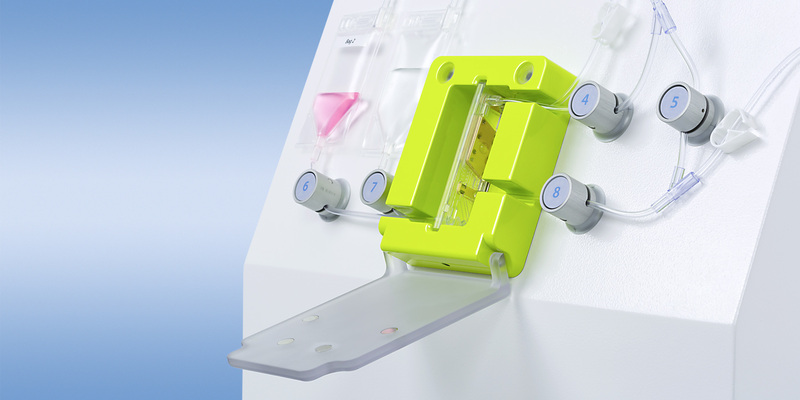 A cyclic process enables electroporation of multiple sample aliquots (500–1000 μL) in a row, from a cell suspension with a total volume of up to 50 mL. For each cycle, the cells and DNA/RNA are mixed just before electroporation. The CliniMACS Electroporator provides variable protocols enabling different pulsing parameters. For example, the first pulse can be powered with up to 1000 V, the second pulse with up to 500 V.
Cells can be easily electroporated with nucleic acids in a closed and automated fashion. 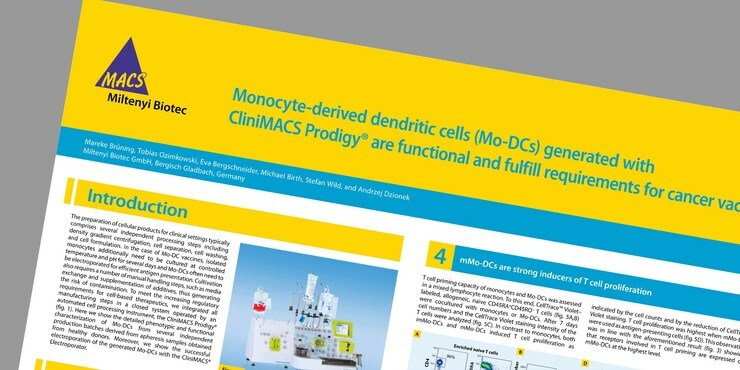 The system enables efficient and reproducible transfection of a variety of eukaryotic cells.